Gene Logsdon recently described August as a Glut Month and the reason why farmers put up with the headaches from the rest of the year. Although we are just micro-farmers, I could not agree more. Once the sun finally decided to arrive in the Pacific Northwest, both the food forest and the raised beds started pumping out produce. Between a crazy-busy work schedule this month from my day jobs + harvesting, storing, and replanting for Fall crops, this blog almost looks like we went on a European-style vacation for the entire month of August. 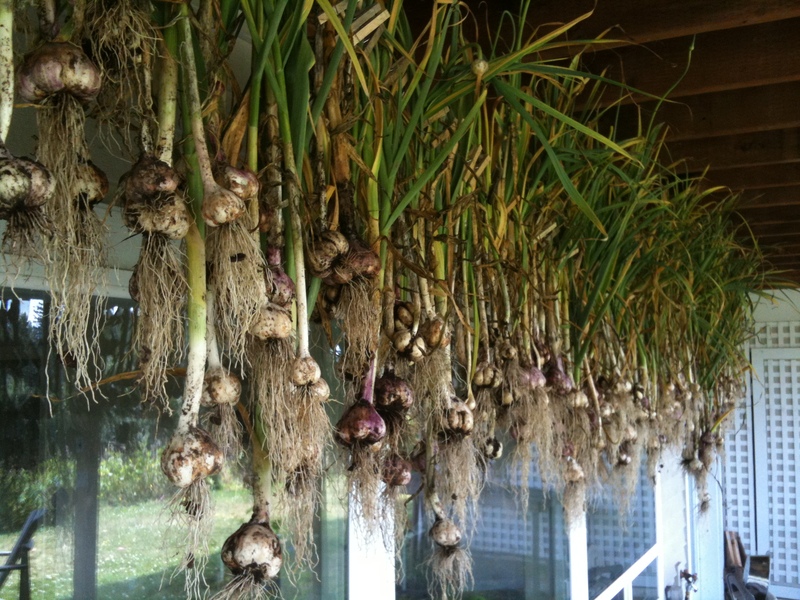 And now for one of the annual photos that makes me smile…a year’s worth of garlic hanging up to dry. 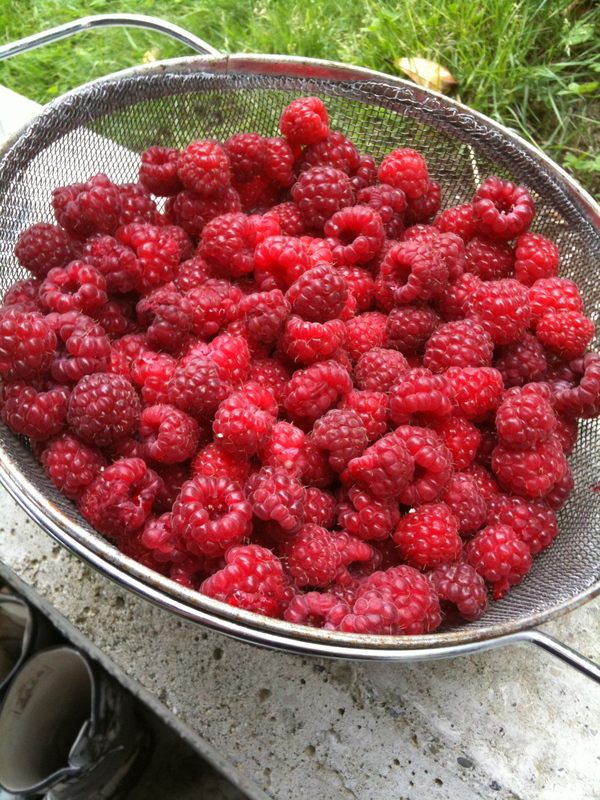 We’ll combine this with the tomatoes that are starting to come in heavy to make salsa for the winter months. I did discover that with our recently expanded beds in the food forest (30 new blueberry bushes and more), our 5000 gallon water cistern system no longer provides the targeted two months of irrigation. In fact, we ran dry in just 10 days. Oops. Next on the big project list: digging a 50,000 gallon pond and installing a solar pump to bring the water up to the cisterns for redistribution to the food beds.